Welcome to my SPRING SALE! Many Originals with an asterisk* after their title and price are 50% off for a limited time! Many Prints in different sizes at lower prices! 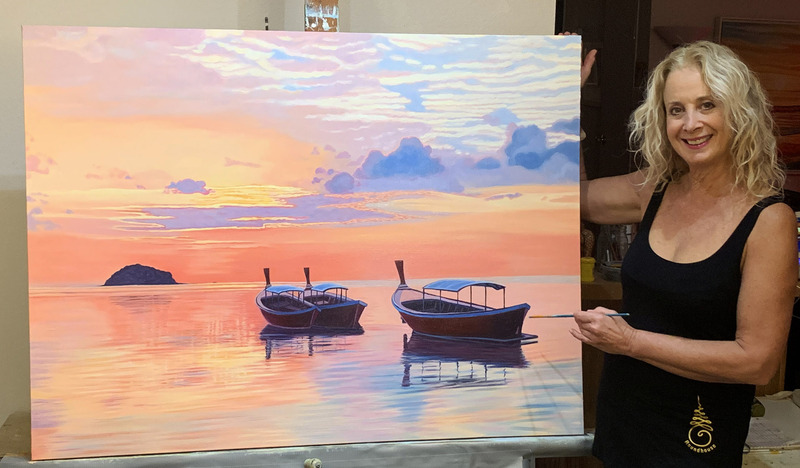 Inspired by a recent trip to Southern Thailand, I painted the reflections in the calm Andaman Sea at sunrise where I stayed in a wooden bungalow on the beach. It was paradise!